There’s a lot I wish I could inspire people to do and be, to step out of their realm of comfort, but the biggest thing for me is to be aware of those around you. Looking past your own agenda and asking what the person next door is fighting for, because we’re all fighting for the same things and people coming together have more power than one person. 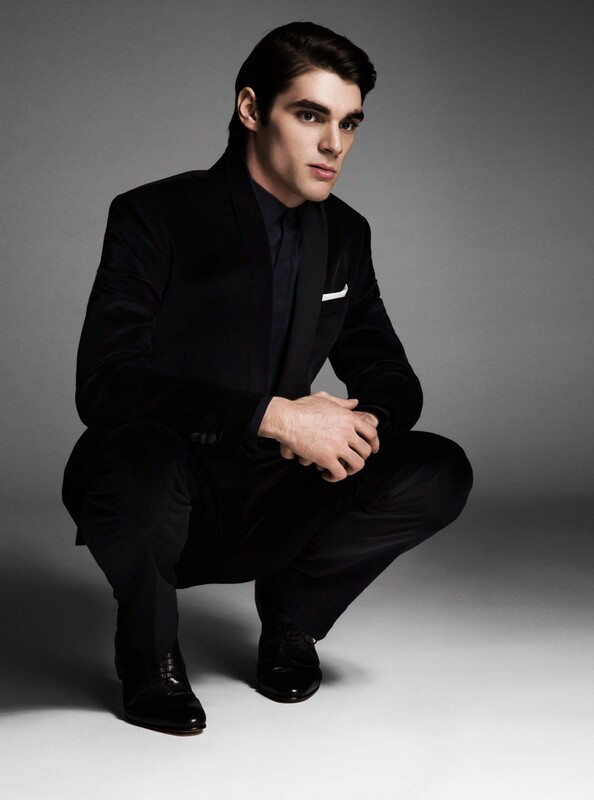 As a part of my series about TV’s rising stars, I had the distinct pleasure of interviewing RJ Mitte. 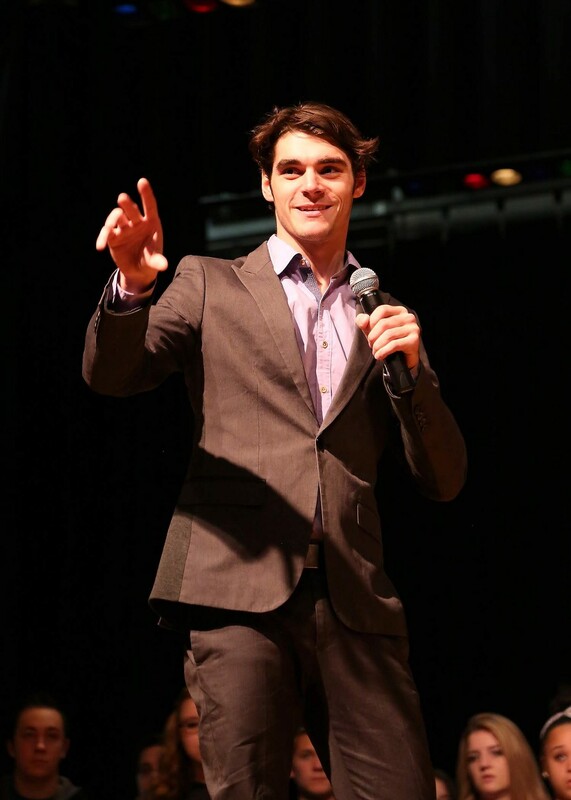 Best known for his portrayal of Walter “Flynn” White Jr for five riveting seasons of AMC’s Emmy and Golden Globe Award-winning dramatic thriller “Breaking Bad,” RJ Mitte is an actor, advocate and philanthropist who has carved out his niche in Hollywood by breaking down stereotypes and changing people’s mindsets with his easy going demeanor and positive outlook on life. During it’s final season, the “Breaking Bad” premiere drew approximately 5.9 million viewers, a number that nearly doubled to 10.3 million by the season’s final episode. 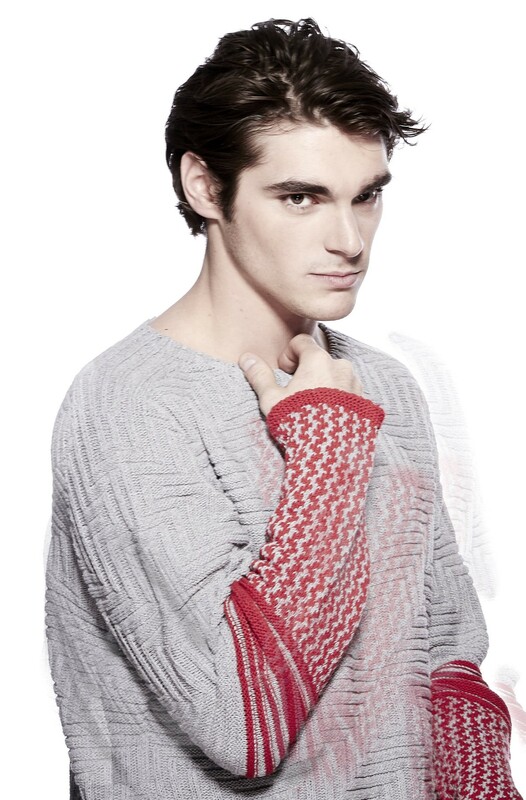 As Walt Jr., referred to by fans as “The Breakfast King,” Mitte acted as the Cerebral Palsy-afflicted son of Walter (Bryan Cranston) and Skyler (Anna Gunn). As Walter continued his descent into drug manufacturing and trade, Walt Jr. finds himself torn between his father’s deceit, his mother’s protectiveness, and his own developing sense of independence. Walter Jr.’s Cerebral Palsy on the show was embellished, meaning RJ had to learn how to walk on crutches and slur his speech to create a more dramatic version of his own disability. At the young age of three, Louisiana native Mitte was diagnosed with Cerebral Palsy, though that has never deterred his drive to succeed in television and film. After moving to Los Angeles due to his sister’s chance encounter with a casting director, Mitte landed roles in various shows such as SHOWTIME’s “Weeds,” NBC’s “Vegas,” CW’s “Everybody Hates Chris” and costarred on ABC Family’s primetime hit show “Switched at Birth,” until being cast in his life-changing role on “Breaking Bad.” Concluding “Breaking Bad,” Mitte, reemerged on the big screen in DIXIELAND, in his first non-handicapped leading role. Most recently, he starred opposite Wesley Snipes in THE RECALL and was also seen in TIEMPO COMPARTIDO (Official 2018 Selection World Cinema Dramatic Competition at Sundance). In the winter of 2018, starring alongside John Cusack and George Lopez, RIVER RUNS RED is slated for release, after making the rounds on the film festival circuit, as will a co-starring role on Starz’ coming of age television thriller “Now Apocalypse,” premiering in early 2019. Never one to shy away from an opportunity to take his talents to new avenues, RJ was thrust into the global spotlight as the celebrity face and model of GAP International’s “Lived in Spring” campaign with his image appearing on mediums such as billboards, buses, and life-sized posters in cities across the world from Tokyo to Dubai and across the US, he has cemented himself as a face to know in the fashion world. He made his way to the catwalk, modeling in Men’s Fashion Week in Milan, Berlin and New York City for designers Vivienne Westwood, soPopular and Ovadia & Sons. Throughout the years, Mitte has been an inspiration to his peers around the world by championing his Cerebral Palsy in hopes of removing the stigma associated with disabilities. In order to bring awareness to his own issues with bullying and prejudice, Mitte has engaged in public speaking and serves as the official Ambassador for United Cerebral Palsy and Shriners Hospitals for Children and partners with Shriners to spearhead their #CutTheBull campaign to advocate on anti-bullying for children with disabilities, much like himself. He’s also involved with SAG-AFTRA as a member of the union’s IAPWD (Performers With Disabilities Committee). I grew up between Louisiana and Texas, as my parents divorced when I was young, so spent time between the 2 places until I was about 12. My little sister was discovered at a waterpark in Texas for a Lucille Ball movie that was being cast and that brought us to LA. We ended up at an agency meeting for her and someone there asked if I would like to get into doing background work, so I agreed to try it and ended up on shows such as Hannah Montana and Vegas. I landed Breaking Bad when I was 14. Our families path changed when she was cast on the movie and that continues to be drive my career. That decision to move here gave us everything we have now and where I am with what I am doing in my life as an actor and working in this industry. For one of the scenes on Breaking Bad, they hooked a tube to the side of my face to create a moment of me vomiting, and it was filled with this chunky tomato soup type mixture. We did the scene a couple times and they asked me to close my fingers to create a stronger effect, and it did! It shot up my nose, all over my face and down my clothes and it was pretty rough. Funny enough that night my mom was cooking veggie soup for dinner, so my biggest lesson would be maybe when you’re doing a puking scene check the menu for your day and make sure you’re not having it as a meal later! Not a fan of that soup to this day. I just played a role on a new show called “Now Apocalypse” for Starz by Gregg Araki that premieres March 10th. It’s about LA and weird things happening here and its a small part but I go to work with an amazing ensemble cast and it was so fun to be a part of. I am also about to go film a movie called Carol of the Bells, directed by Joey Travolta that I am also excited to go do. Diversity is important because it represents all of us. There isn’t one person who isn’t doesn’t have something interesting to offer that’s different from the next person and that should be shared with others. We lose ourselves when we exclude certain parts of humanity. It’s what connects all of us. The things we see as less than in others such as handicaps or disability are not discriminatory and yet that’s what we are discriminating against. For me disability is a strength, not a weakness or illness. It gives me another layer of things I can experience and give that knowledge to others, to allow themselves to be seen and represented in TV and film. Artificial diversity- people that are not actually as different as they think. Digging deeper an finding what truly makes you different is key. Taking action to engage in your community on a ground level to change the mindset in a smaller way. Discrimination, lack of diversity and inclusion starts from the way you’re taught to think and accept what is okay. Being able to listen to what is really being done vs those who just talk the talk. Educating yourself on things that foster growth, that engage the industry to listen and then actually doing it. I have been public speaking on diversity for years, and it’s been baby steps with some and huge leaps with others. It really is a matter of those who WANT to actually make a change ans cast those roles and give us visibility. There are many things many I wish I could say that would help, but this industry doesn’t come with a user guide. I had to go out and experience actual highs and lows to know what I know and I still don’t feel like I have figured it out. Easy tips? Vet people- dig into who they are, what’s their actual history. Be aware of your surroundings and who you surround yourself with. Really I just hope for the best in people. Disbelief in yourself causes burn out. Believing is the hardest part when everyone is saying no. All those nos can pile up and it makes every audition, every meeting that much harder to stay positive for, but you have to. We all have failure, and no one sees all that, they only see the wins. So keep pushing for the wins, no matter how small they seem. I have had a lot of people step up to get me to where I needed to be early on in my career. My family, really my grandparents and mom did everything in their power to put me in a place mentally and physically that made me believe I could achieve this. That I was a vessel for change, they empowered me and moved heaven and earth to make this happen. Their drive and determination carried over into me and showed me what was possible. Richard Branson or Elon Musk. They seem to have an eye on what the future is about and I want to be a part of that!